Looking for some modern home design ideas? 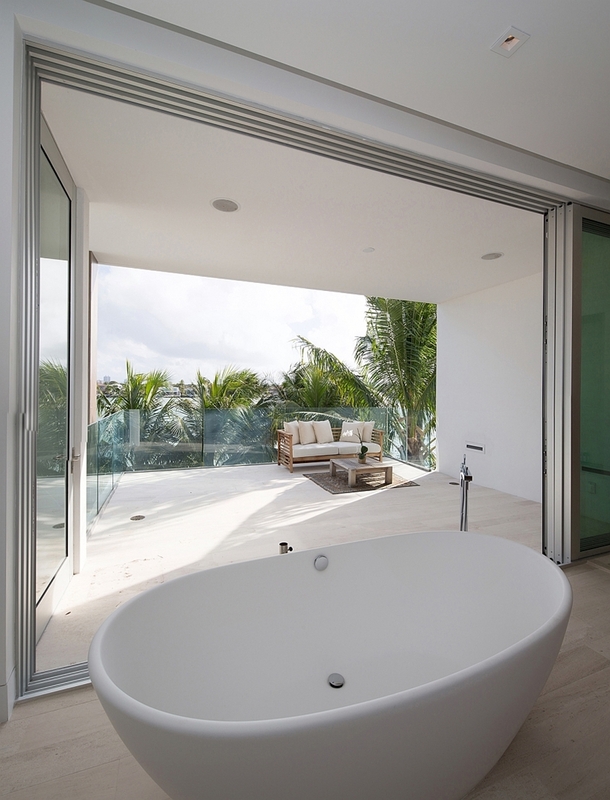 Biscayne Bay Residence will show you how to combine modern design with minimalism and stunning location, all placed on a small property lot. 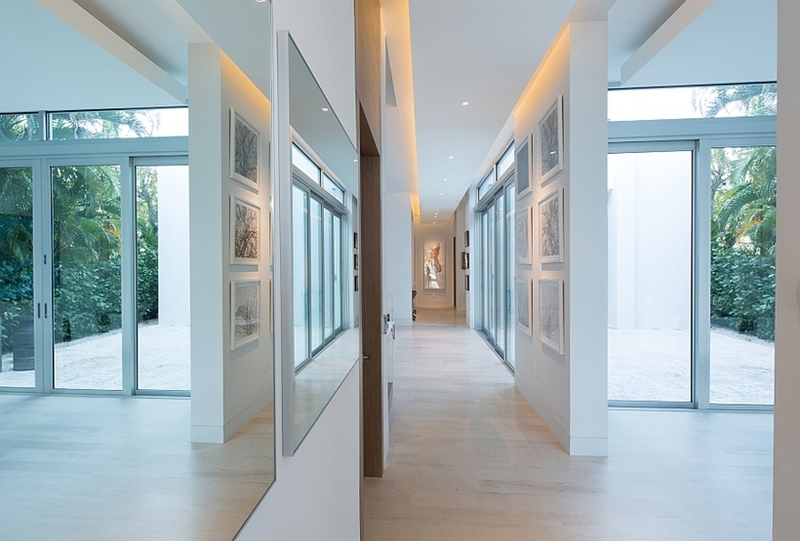 Miami-based modern architecture office [STRANG] gave us pretty amazing modern home design idea with this stunning award-winning project. 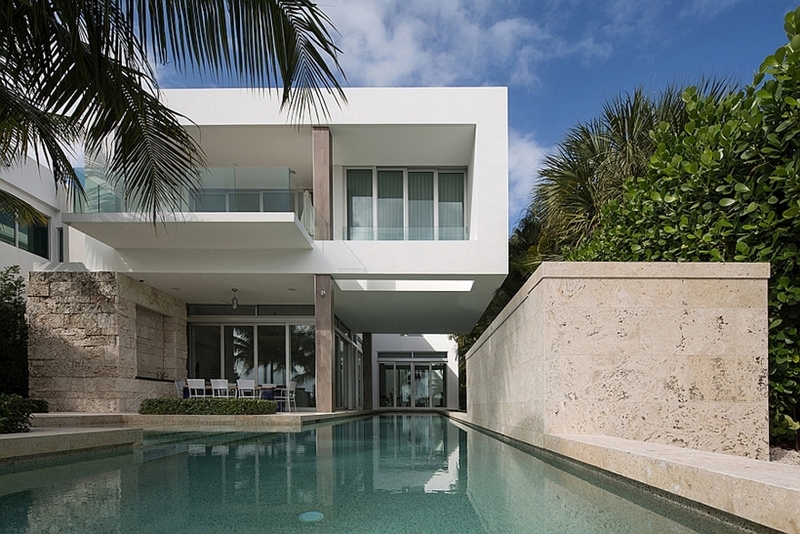 Biscayne Bay Residence is modern home located in beautiful, sunny Miami. 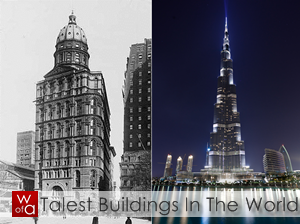 With an amazing location, how could you expect any less amazing home. Already at the entrance, you are welcomed by the two palm trees, visually framing your way towards the entrance. 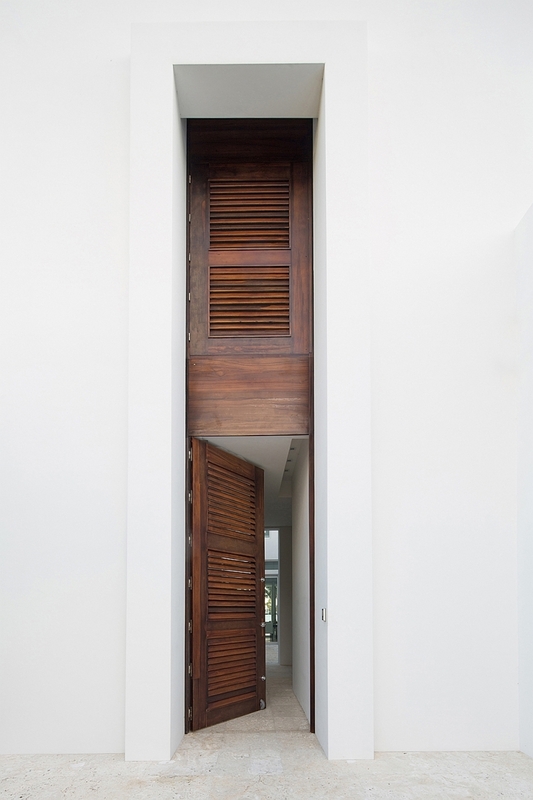 Entrance doors are slim, tall, dark brown wooden element, standing out from the rest of minimalist white facade. 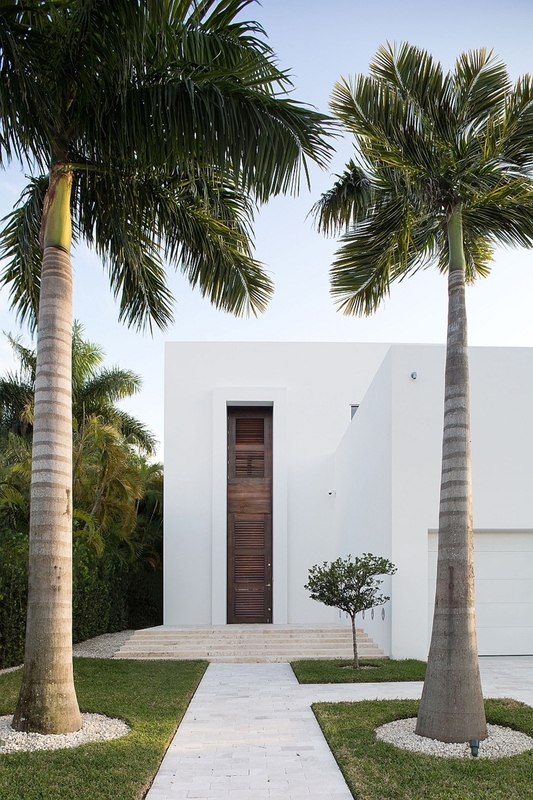 Combination of elegant and minimalist white facade with dark brown doors and all the greenery around is simply stunning. Rear elevation is even more amazing, with nicely implemented terrace and 25 meter modern swimming pool connecting house with the bay, similar to this stunning home on the beach. 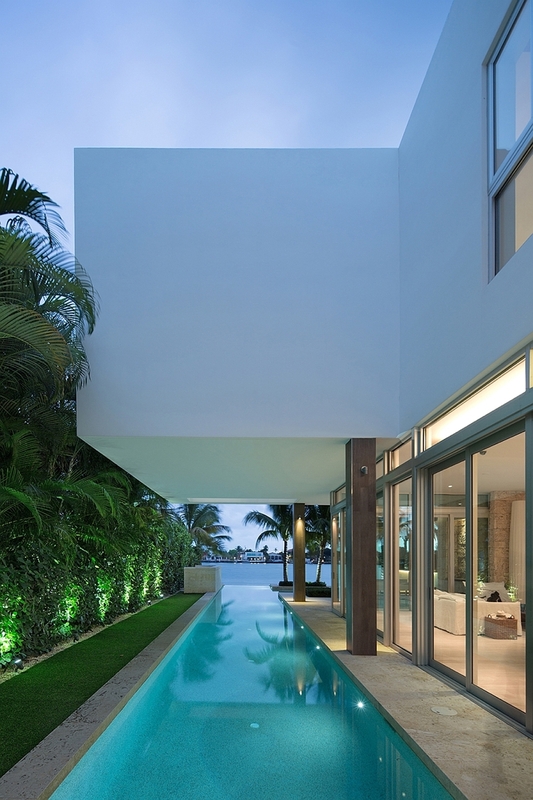 "The pool becomes a governing feature of the overall design as it plunges deep into the heart of the home." Ground floor is also surrounded with stone walls and tall vegetation which makes it private and secure. Interior design continues this modern flow. 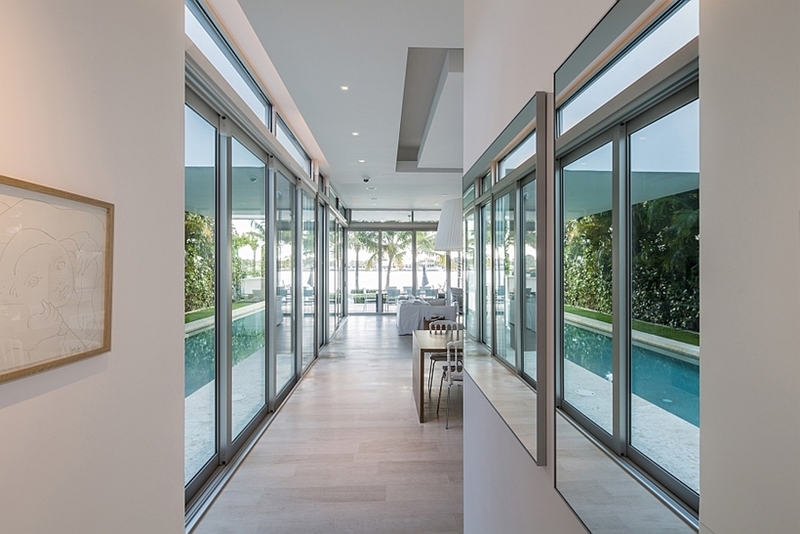 Every room in the house offers floor-to-ceiling glass sliding windows, which can easily transform closed home into modern living space open towards the exotic Miami canals. 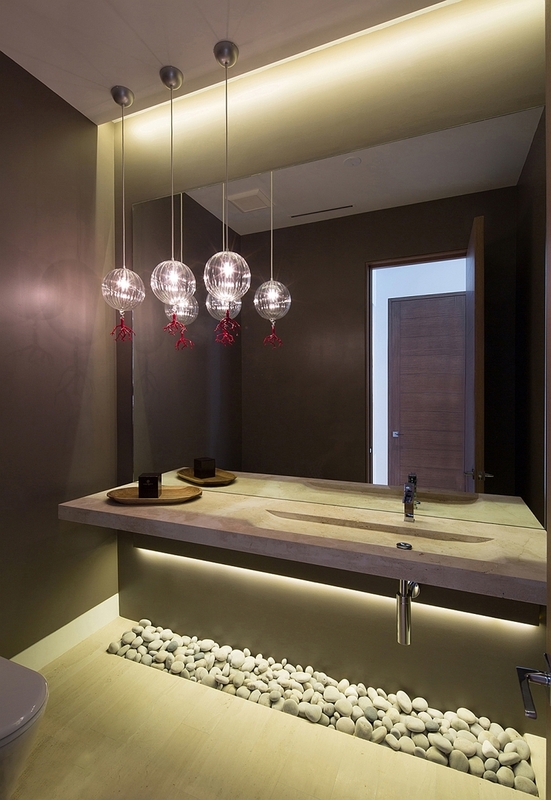 Interiors are defined by the minimalism and elegance, fulfilled with contemporary furniture. How do you like this modern home design idea? If you find this amazing, please, continue to this dream home located above Rio de Janeiro!